Make sure your URL doesn't contain a question mark. Check out the thread in the Trading section pinned to the top: Links of all ~ Egg and Hatchling Sprites ~ (it pays to look at the last few pages as well, it sometimes tends to take a while for new releases to be added to the first page). Those codes should definitely work. Edit: Totally ninja'd with part two of my post. To add to what others have said, if you're trying to use an image from the wiki, you need to strip the end of it off. The links in the thread linked are easier than that. How do you get a member title? Q: What are levels/when do levels increase/how do I increase my level/how do I change my custom title? A: Levels increase when you post, exact numbers and other information can be found here. Levels have nothing to do with anything except showing how much you've posted. Your custom title can be changed in My Controls, but only after you reach level 10. Once you get a member title, are you free to change it whenever you want? Is there some sort of like, "cooldown" in which you can only change it every few days or whatnot? You are free to change it as often as you like, I think. I have changed mine several times in one day before when I was trying to find one I liked. When I first got mine, I changed it every day for about a month. I know of no "cooldown." Can you obtain different color coppers throught breeding? Like a brown coming from a red? The biome the CB Copper egg was picked up from. Male Male Copper x any CB female dragon = Egg color of its mother's biome. If the mother has no biome (bred dragon) or was caught BEFORE the biomes were added (June 10, 2011), it will be the color of the Copper father. Female CB Female Copper x any male dragon = Egg color of the female Copper. I'm just kinda wondering how I should sort my scroll. I currently have a custom sort, with rares and hoards at the top and less rare dragons at the bottom. Is it recommended to sort by breed or one of the non-custom preset choices once you have a lot of dragons? I am nearing gold trophy and its so tedious to sort by custom since I need to scroll through a LOT. Also, how does rainbow sort for nebulas? By wing? That's totally completely up to you. What do you like the looks of? Why do you sort? What will help you find what you're looking for? What do you want visitors to have an easy time finding? If you go to custom sort, then choose a default sort while in custom sort, but do NOT save OR if you choose a default sort while outside of custom sort, your custom sort will be saved for you to choose again later, you can see how a sort will work without losing your sorting. Red nebs sort after red/rainbow coppers and before red stripes. Green nebs sort below fevers and above neos. Blue nebs are below blue moons and above ices. Purple nebs are below male purple ridges and above female cavern lurkers. So yes, their wings seem to be the major color, so that's what they're sorted by. There is no "should" for sorting. Sort exactly how it pleases you to sort! Everyone has their own preferences and you will not be judged for those preferences by anyone as far as I know. If you are they're a very unusual person and their opinion is NOT the majority. Frankly though I really don't see that happening. And yes it sorts them by wing. You will also often find that Rainbow sorts dimorphic dragons in different places - for example females in one area and males in another. I also have something else. I spend most of my time on DC by using my Samsung Galaxy S5 phone (running Android Kitkat 4.4.2) and it shows that on DC, it says I am blocking ads. How do I remove this? In certain games it blocks ads that I actually want to see, such as King of Thieves. Does anyone know how to unblock ads?! Do you have adblock enabled? It is possible to have adblock on a phone. 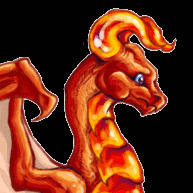 Let's say user Bobbyman on the forums creates a dragon sprite, which TJ totally loves and adds to the cave. Now, while the creator is Bobbyman on the forums, their scroll name is actually Bobbyguy. So what appears in the artist credits of the dragon on the site: Art Copyright Bobbyman or Art Copyright Bobbyguy? Is those llama and kittens saying "don't block ads!" because those don't actually mean you're blocking ads half the time. Sometimes ads have trouble loading or something and you get those instead. Forum username. Although if you specified in the topic/to TJ when you signed the agreement that you preferred your scrollname, he might list that instead. Thanks for the quick answer, Sock! Edit: Also is it my internet or has the cave / forum been awful laggy today? Maybe I just keep hitting the hourly time-of-dooms...? Yeah its the kittens that show up. My scroll is centering on the dragon images today instead of the names, so I can't get to the actions button from my scroll... anyone else getting this? I'm using chrome. Hmm, nope, still doing it! That is weird. That's not happening to me. Maybe try clearing your cache? And if that doesn't work maybe try restarting your computer?